Welcome to South Shore Dental Specialists located in the heart of Quincy, Massachusetts. Our practice is a leading dental specialty practice which understands the importance of the oral health, function and dental esthetics of our patients. Our mission is to provide the highest quality of periodontal and restorative dental treatment utilizing the latest techniques and most advanced materials. Our talented, conscientious and friendly staff will help you to receive the beautiful and healthy smile you deserve. 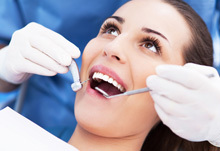 South Shore Dental Specialists most trusted and respected team of dentists. Our association with dental schools has placed our practice in a unique position allowing us to provide cutting edge techniques and the latest predictable modalities of treatments.